This one's a shout out to all board riders, extreme sports enthusiasts, the young, the young once, the care free and the fashionable. 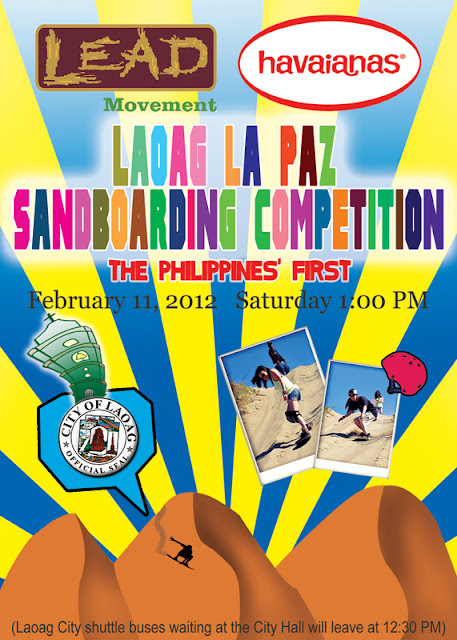 Practically everybody and anybody who wants to experience sand boarding, oh and guess what?! free rides for the kids! If you wanna feel cozy and laid back, no worries because we're asking guests to bring blankets, mats, tents and have a picnic of sorts. Of course, don't you ever forget to bring your cameras! I bet there's going to be a lot of photo opportunities we don't have to miss! Get your cameras ready for some sports photography, people watching and sunset shoots! Oh yes! 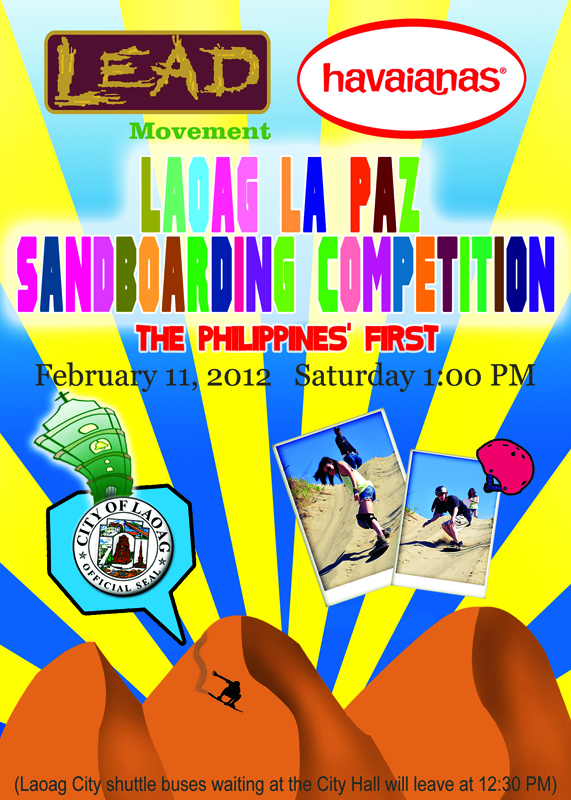 The Laoag La Paz Sandboarding Competition is the first of its kind in the Philippines. 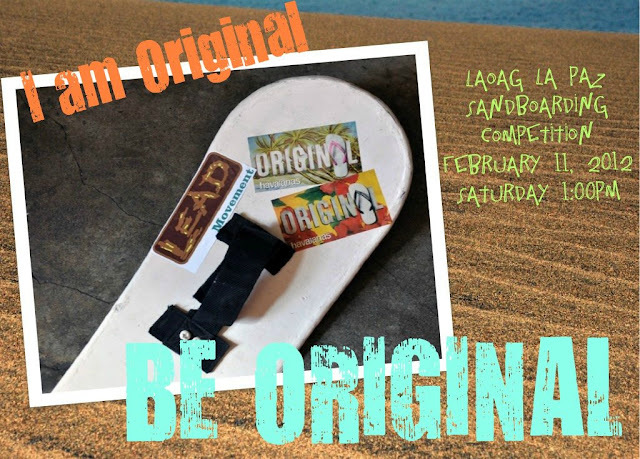 Presented to you by the LEAD Movement, “the innovators of Sandboarding in Ilocos” & Havaianas® in cooperation with the City Government of Laoag for the annual Pamulinawen Festival. Saturday, February 11, 2011, 1:00 PM. Havaianas kits will be given away to the first 50 registrants. FREE REGISTRATION. For inquiries and details check out the Ilocos Sand Boarding Page on Facebook or contact LEAD Movement or Red Dot Boutque in Laoag.